In today’s busy world everyone needs to be able to kick back once in a while and relax, Dan Nelson Hoberg’s Club can help you to do just that in the luxurious newly renovated spa. Hoberg’s Club by Dan Nelson can offer you everything you could possibly need to get you back to feeling yourself, but better! The Spa is located in the Lake County in Northern California with more than 55 acres of land to explore if the mood takes you. You can visit for the day alone or with friends, or stay a few days in the luxurious accommodation. Dan Nelson has managed to incorporate all the things that everyone loved about the old club, but added new and environmentally friendly energy sources so not only will you get the opportunity to love yourself at Hoberg’s club spa but the environment too! If you purchase one of the popular wellness packages, you can save money on the themed events such as ‘culture and cuisine’ and ‘art of songwriting’. This offer is popular with couples who can get their whole body revamped to look their best for the entertainment on offer. In the Spa you can choose to have everything from an expert massage from tip to toe, facials that specifically target problems such as dry skin, aging and detoxification. If you have a daughter why not go for a mother and daughter treatment that allows you to get your massage side by side for results that leave you feeling like a celebrity? Treatments for hands and feet are also available from a stress relieving and of course relaxing massage to a pedicure, manicure and extras such as gel nail strengthening, nail painting and even callous treatment. The mineral baths in Hoberg’s Club and Spa by Dan Nelson are not only relaxing but are also proven to help with a whole host of skin problems from a simple fungal infection to psoriasis. For years the minerals used have been shown to be beneficial to the body because of their healing properties. They can even help improve the immune system, all of that while you just relax in comfort can’t be a bad thing. Dan Nelson Hoberg’s Club Spa could be just what you need the night before your big day, a girly weekend or just as a treat for you and your partner to rediscover yourselves away from the business of modern life. 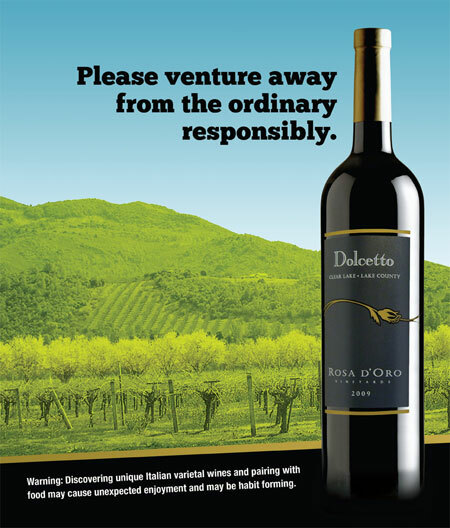 Hobergs Club and Resort kicks off the 2014 slate of events with The Italian Art and Wine Festival. From Super-Tuscan blends to Barolos and Pinot Grigios, Italy produces hundreds of wines annually. This Italian Art and Wine Festival at Hobergs Club Resort brings you tasty sips from a wide variety of Italian wines with a focus on wines from award winning Lake County Boutique Wineries. 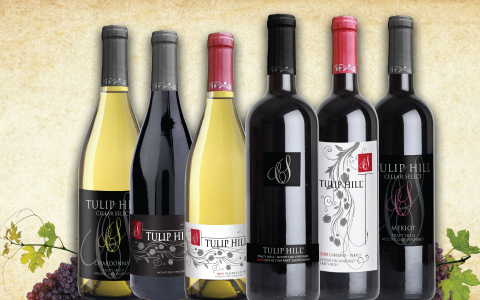 With Lake County wineries like Rosa D’Oro and Tulip Hill Winery producing excellent Italian Varietals, this will be an excellent opportunity to experience all that Italian Wines haver to offer.. This themed weekend event takes place on Lake County’s beautiful Cobb Mountain. In addition to great wine, the Italian Art and Wine festival at Hoberg’s Club Resort will feature plenty of art to purchase and peruse from painters, sculptors and photographers while sipping your wine. And best of all, The Italian Art and Wine Festival is family-friendly! Hoberg’s Club Resort has made sure to make this a family-friendly event with children’s activities provided by Lakeside Family Fun Center. Dan Nelson: Hobergs Club – Hobergs wedding in the mountains. Imagine saying your wedding vows with a lush green backdrop, nature’s wild animals, towering redwoods and the famous Grizzle Peak rock. According to Dan Nelson, Hobergs Club property offers this most unique setting for your special wedding. After your ceremony, you and your guests can walk around the beautiful paths to our Dining Hall for your reception. You can have a DJ, but there is also room to consider more unique entertainment, like a bluegrass band, a jazz band, or a classical string quartet. Every Outdoor Wedding at Hobergs Resort is always unique! Our unique location makes it convenient to have your outdoor wedding in the Cobb Mountains without being too far away from town. And don’t worry, if it rains, your ceremony can be set up inside a second room in the dining hall, just in case. We have various Wedding Packages to suit your specific needs. Our rooms and cabins can accommodate your out of town guests right on the property with the same country setting. And of course, your family can stay longer for a fun vacation or family reunion. 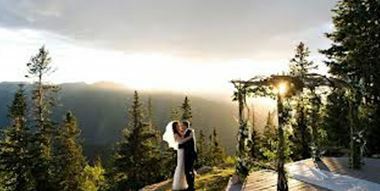 Choose one of our cabins to get ready for the wedding, and stay for your first night or honeymoon. Reserve a cabin for the night before the Wedding and be greeted by one of our Romance packages waiting on your arrival. We would also love to help out with your wedding coordination via our trusted on site event planner, who know how to make your outdoor wedding at Hobergs Resort a success. Our Event Coordinator can give you Vendor recommendations from among our Preferred Vendors based on the Wedding that you want to have. She and her staff will assist your Vendors with making sure everything and everyone is in their place on Your Special Wedding Day. Green. Like many businesses today, Hobergs Club Resort Dan Nelson will be established from day-one as an environmentally friendly facility. The Beauty of Cobb Mountain is one of the treasures of the resort location. Hoberg’s Management aim’s to keep it that way with a mindful approach to bringing industry to the area, using low emission energy sources. The modern day Hoberg’s Resort will use it’s hot springs well to it’s full potential. Not only are the warm waters great for a soothing dip, but the steam and temperature can be used to create geothermal energy to light our lights, and warm our rooms. 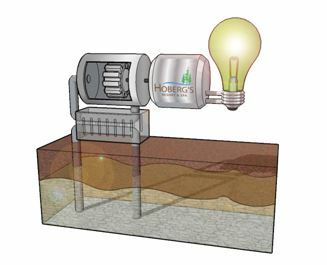 In a binary cycle, the “green” power plant uses the heat from geothermal water to vaporize water in separate adjacent pipes. The vapor, like steam, powers the turbine generator and creates electricity. This method also produces nearly zero emissions and is suitable for integration with other energy sources. The sun bathes Earth with more than enough energy, contained in its light, to fulfill all the world’s power needs many times over. It is another r energy source that has zero emissions, is sustainable, and it’s free. Usually, when light hits an object the energy turns into heat, like the warmth you feel while sitting in the sun. But when light hits certain materials, a chemical reaction turns the light energy into an electrical current instead, which we can then harness for power. Silicon crystals produce an electrical current when struck by light because the electrons in the crystal move around and create kinetic energy when exposed to light instead of just jiggling in place to make heat. Getting back to the hot springs, the wells under Hoberg’s can also heat the buildings accommodating our guests by a using geothermal heating system. Heated liquid runs through pipes that are sunken into the earth, where it draws warmth from the constant heat of the hot spring wells below. The heat is then pumped into an indoor unit which circulates it through the entire building like an air-conditioning unit. 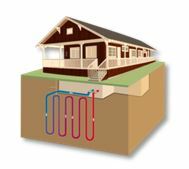 During the summer, the same system can be used in reverse to cool the facilities, but having a geothermal heated pool all year round doesn’t sound like such a bad thing! Environmentally Friendly systems are a “must” in the hearts of the new Hoberg’s Club management, and we are excited about the benefits this feature provides to our guests and to the environment. Planning the Hoberg’s Club vineyard is a lot like deciding to have a baby. It’s easy to see a cute kid and feel that covetous pang. You think, “Hey, I could do that.” But when confronted with all the responsibilities and tasks associated with parenthood — or vineyard ownership — you might feel suddenly overwhelmed. So what does it take to be a successful Hobergs vineyard “parent”? According to Hoberg’s Club Dan Nelson you have to be dedicated. You have to learn some new things and ask advice from people who have done it before. You have to have some extra money. You have to know where to shop. You have to be willing to give up some of your leisure time. Even a small vineyard will require weekly maintenance during the growing season and pruning in the winter. The fruit you grow will reflect your effort, and your success or failure as a viticulturist will dictate the quality of your homegrown wine. The decision to start a Hoberg’s vineyard is a serious one, requiring study, planning, financial resources, dedication and a willingness to get muddy and sulfur-soaked. 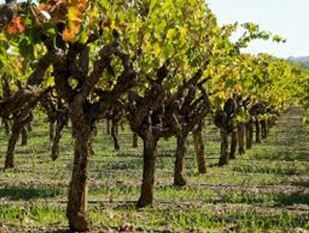 In planning our Hoberg’s vineyard, there are lots of considerations. We will need to select our site and exposure, prepare the soil, decide if you plan to irrigate, plan a trellising system and then choose a row and vine spacing scheme that works for you. The purpose of this article is to introduce these issues, teach you some basic vocabulary and concepts, and then turn you loose to do your own research. It’s vital you network with other grape growers, preferably in the Lake County area, to benefit from their mistakes and successes. Local wine growers can point you toward vineyard hardware suppliers and good nursery materials, can help you choose your vineyard plot, your grape varieties and root stock, and might even help with the labor if you bring them enough wine. Start a grape-growing club or join an existing one. Help each other farm, harvest and crush. Asking for help is absolutely vital to the success of your future vineyard. Most viticulturists have been very forthcoming about their first planting experiences — they admit that they would have planned and planted differently if they would have taken more time to read, network and plan. Once the vines are in the ground, there’s little you can do to change the basic layout of the field. As such, hotsprings have the capacity to balance and harmonize our bodymind, quite naturally. In a more traditional sense, when the mind is at peace, the body follows. Mineral springs contain high amounts of negative ions, which can help promote feelings of physical and psychological well-being. Sulfur is excellent for our skin. For example, sulfur-based face cream is helpful to help clear acne. The minerals in the waters at Hoberg’s have positive therapeutic effects on skin disease, women’s diseases, asthma, neuralgia, arteriosclerosis, rheumatism and shoulder, neck and wrist pains. They also have a detoxifying and mucolytic effect. Sulfer is most concentrated in keratin, which gives you strong hair, nails, and skin. It is known as “nature’s beauty mineral” because your body needs it to manufacture collagen, which keeps your skin elastic and young-looking. Bathing in hot springs also gradually increases the temperature of the body, thus killing harmful germs and viruses. It increases hydrostatic pressure on the body, thus increasing blood circulation and cell oxygenation. The increase in blood flow helps dissolve and eliminate toxins from the body and brings improved nourishment to vital organs and tissues. 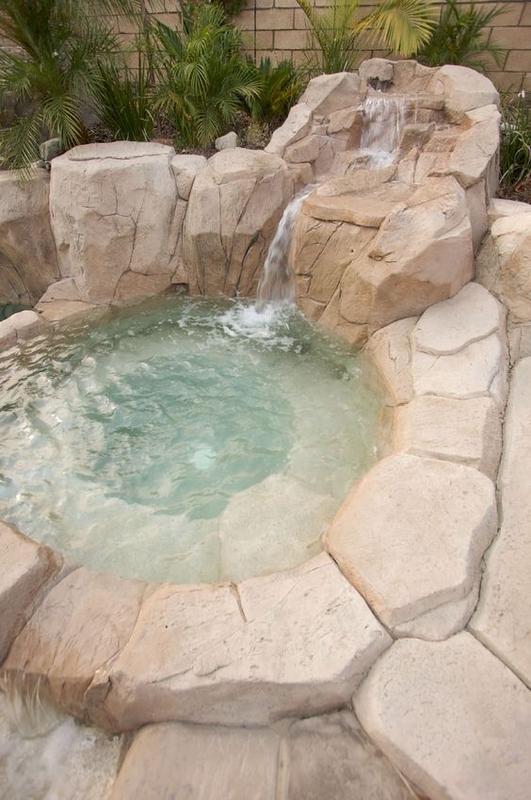 Repeated hot springs bathing (especially over three- to four-week period) can help normalize the functions of the endocrine glands as well as the functioning of the body’s autonomic nervous system. Thermal water also increases body metabolism, including stimulating the secretions of the intestinal tract and the liver, aiding digestion; a great way to remove guilt and calories after an indulgent meal. The overall effect of soaking in a hot spring at Hoberg’s Club tends to be a relaxing one, so unnecessary stress and tension can be dissolved effortlessly, and naturally. 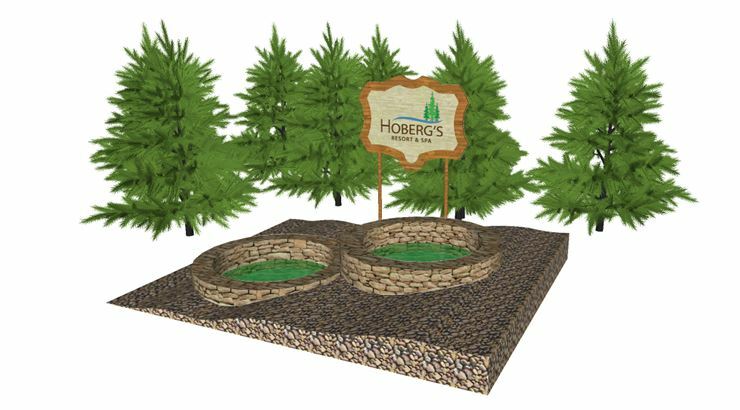 The Hoberg’s Club Herb Garden will be designed to have both an aesthetic and a functional value. Herbs can be eye-pleasing flower’s with unique fragrances and a variety of colors. These plants can be brought inside and used as fresh, authentic-tasting seasonings for the meals served at our fine dining restaurant, bar, and room service menus. Because herbs work almost as well indoors as they do outside, our herbs will also be grown and transplanted inside our facilities so that fresh herbs will be a staple of Hoberg’s Club cuisine year round according to Dan Nelson. Hoberg’s-grown herbs will also make a great souvenir or gift idea to take home with you in one of our hand crafted Terra Cotta pots. Just about every dish tastes better with fresh herbs, and there’s no better way to get the true flavor of this type of delectable produce than to have them available directly from a richly soiled garden. Classic favorites such as cilantro, basil, rosemary, thyme, and parsley, to lesser-known varieties like lemon grass and wasabi, can all be grown to accommodate the intricate gardening designs of the Hoberg’s landscape, and the diversity of entrees on the Hoberg’s Club menu. Our Hoberg’s Herb Garden Care Professionals will also offer classes, free to club members, to teach our guests how they can start their own herb garden at home and start eating healthier. Patrons will learn how to start natural herbs from a seed, how to administer regular care, including dividing, pruning, propagating cuttings, and harvesting, to make having an herb garden something easy to incorporate into their routines and cuisines. And what would gardening be without a little fun? From window sill decorating, to landscape pattern design, patrons will also learn how to unleash their designer from within, and gain access to the most popular design techniques straight from the resort pros at Hoberg’s Club Resort.